Located at an hour’s drive from Chikmagalur is the Z Point, a popular trekking spot with abundant natural beauty. 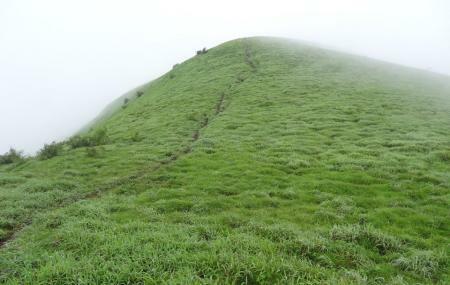 The trekking trail is 3 kilometres long and starts from Kemmanagundi Raj Bhavan. Passing through dense green forests, this trail leads up to the Z point. Throughout the trail, you will find narrow paths, deep gorges, and steep hills. This makes the trek even more exciting. The trek usually takes 1 to 1.5 hours to complete. At the top, you can enjoy the beautiful views of the sunset or the sunrise. Camping at Z point is possible. Make sure you carry your tents and all essential supplies. Chikmagalur is brimful with interesting attractions like Mullayanagiri, Baba Bundangiri, Sringeri Sharada Peetham, Hebbe Falls and Kalhatti Falls. You can also check out the whole list of things to do in Chikmagalur. Find the joy in planning a D.I.Y. trip by using this awesome Chikmagalur trip planner. Book perfect hotels in Chikmagalur like Silverleaf Co-living By Trippr, Harnalli Homestay, The Lotus Boutique Hotel and Nenapu Homestay. Create your own Chikmagalur vacation packages or choose from the ones made by travel experts. Also explore the best ways for how to reach Chikmagalur. How popular is Z Point? People normally club together Hoysaleswara Temple and Manjarabad Fort while planning their visit to Z Point.